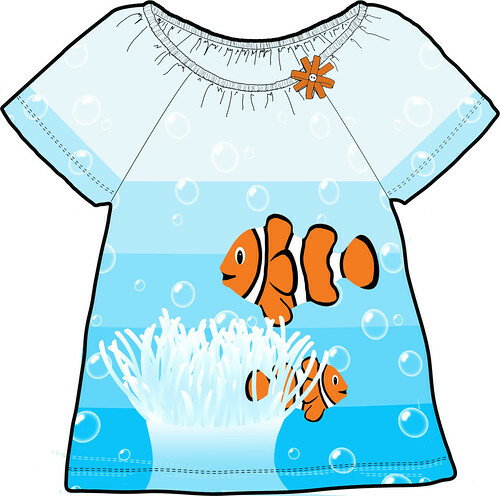 For a bit of something different, I have designed a t-shirt... Spoonflower, in conjunction with Storey Publishing - the creators of the One Yard Wonders books, are holding a contest - the theme being Under The Sea. The winner will have their t-shirt appear in their upcoming book next year. 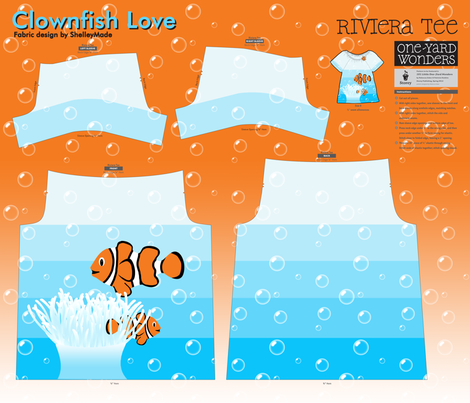 She's always been a big fan of the little Clownfish.